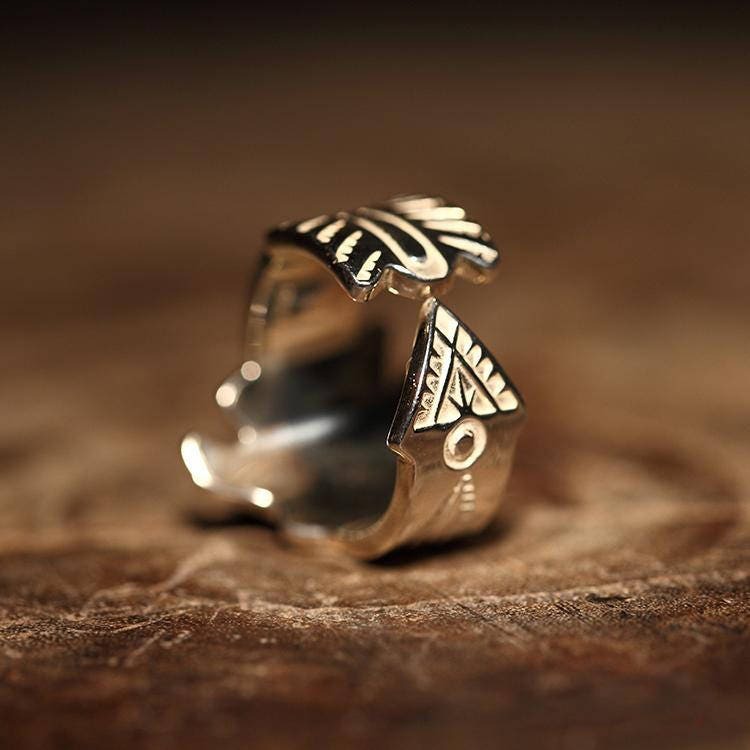 The 925 sterling silver eagle ring is richly handcrafted, with Navajo inspired patterns on a Damascus steel ‘gemstone’. 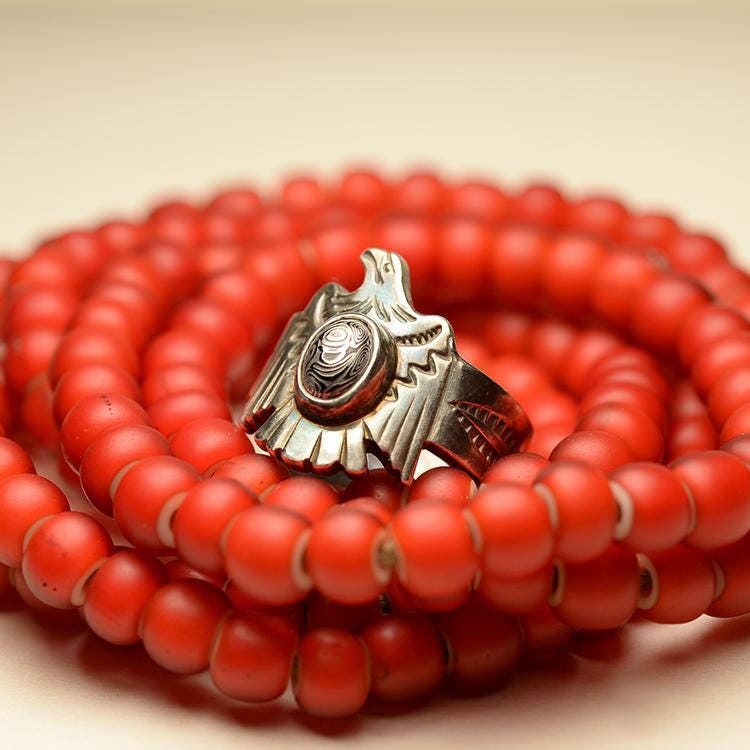 It’s a bald eagle - a symbol of speed and movement in the Native American cultures. 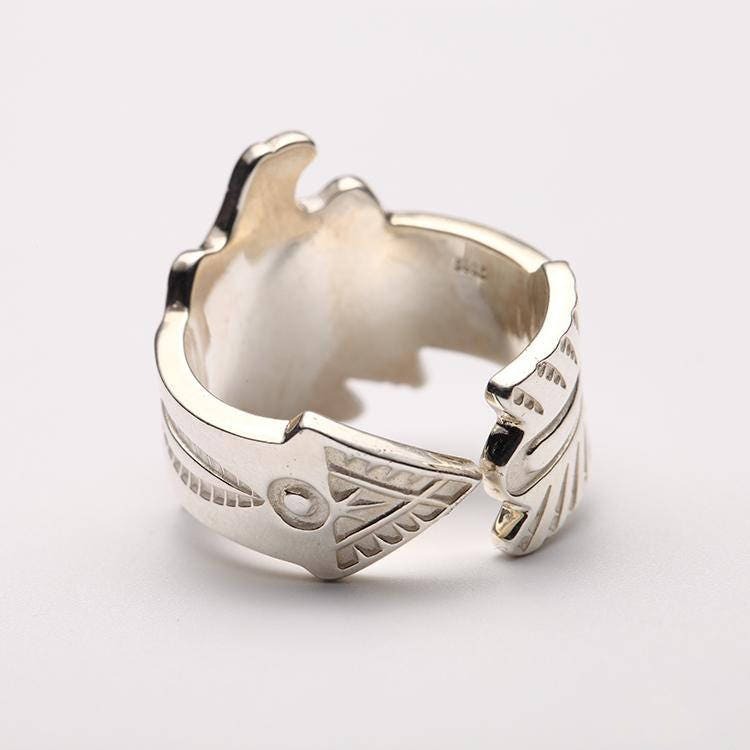 The band is carved in the shape of an arrow - with a point and a feather. 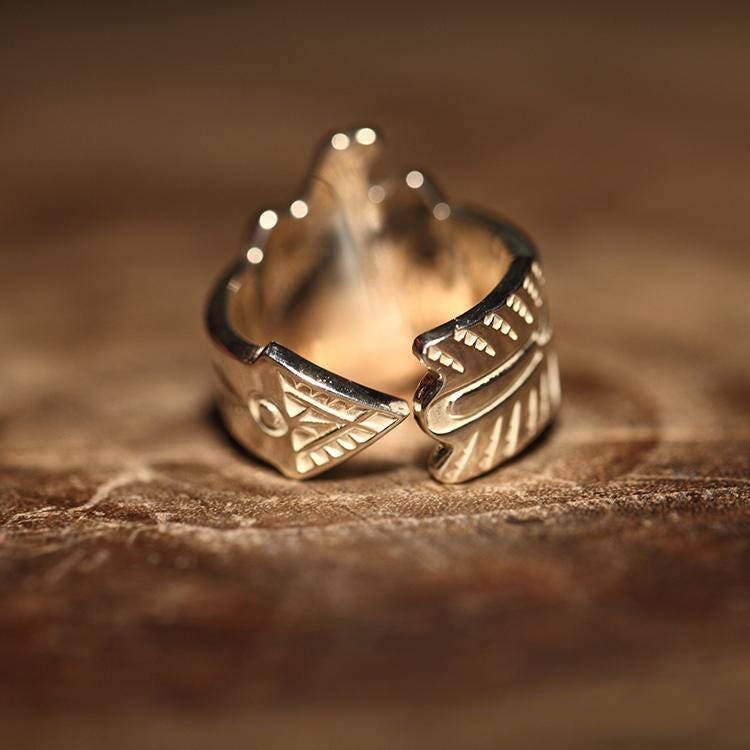 In this way, the ring combines two special symbols in the Native cultures - the eagle, and the arrow. 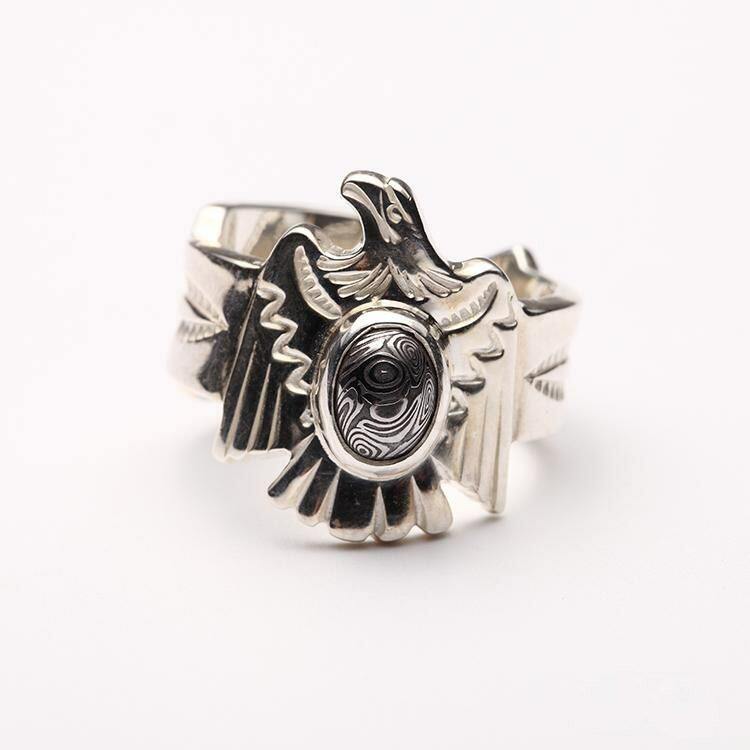 The silver eagle ring is adjustable - you can make your own small adjustments to get a perfect and comfortable fit. 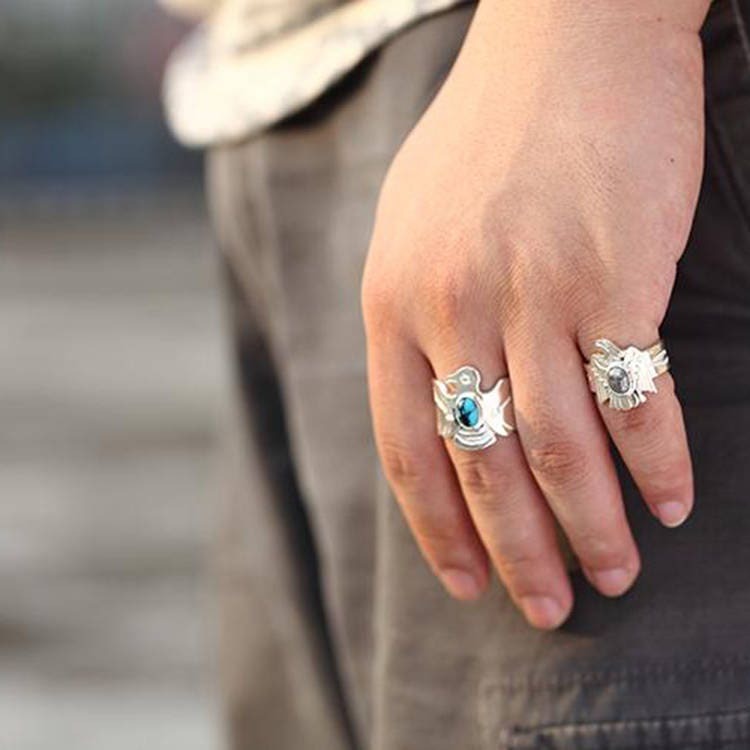 We still suggest that you select the ring size carefully before ordering. 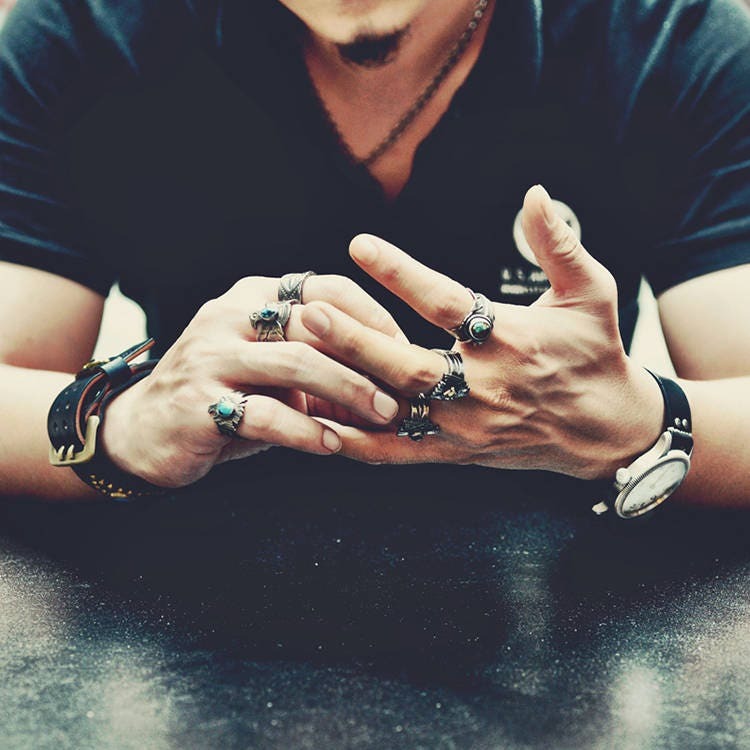 Material: 925 sterling silver. 6X8mm Damascus Steel.